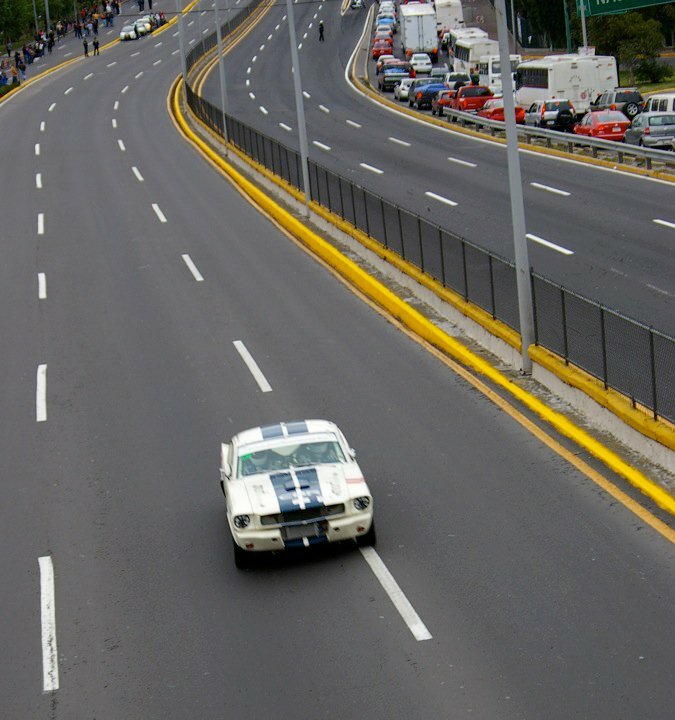 Gary Faules and Jon Emerson crusing downtown Mexico City during peak traffic at 150 miles per hour. During the 2007 LCP there were many times that I heard officials and media speak out about how lucky us pilotos were that we would be able to race at speeds well over 100 miles per hour through downtown Mexico City. The most common statment was, "It's equivelent to Los Angeles closing down the Interstate 405." Well, guess what... Los Angeles is bracing for the upcoming 405 Freeway Closure. Yep, it's true. The upcoming closure of Los Angeles’s 405 Freeway from July 15 to 17 seems to have triggered a unique survival instinct in Angelenos, report media outlets. “Carmageddon” has put L.A. drivers on high alert with celebrities tweeting about the impending calamity and hospitals bracing for disruptions in staffing. The 53-hour closure is part of an upgrade that will widen the freeway and add carpool lanes. During the shutdown, construction crews will tear down the south side of a bridge, making way for the improvements. The bridge will be rebuilt and the upgrades implemented during the following 11 months, then the process will be repeated on the north side of the bridge. Backups of 32 miles in both directions are being predicted during the shutdown, with projections of 50-mile traffic jams in a worst-case scenario. Surface roads are expected to be packed. Authorities have been warning motorists to avoid the area, but because that will not be possible for everyone, police are prepping for some very challenging traffic situations. I think they should just do what they lety us do in Mexico City... Pay an entry fee and let them go like hell!!! Morning Qualifying – Whatsa Motto You?